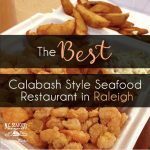 We are so thrilled to now officially hold the title of the best Calabash style seafood restaurant in Raleigh! According to our numerous positive reviews, here’s why we’re the best. Taking a night off from cooking dinner yourself to instead enjoy going to a restaurant is always nice. However, aside from all the basic perks, there are many reasons why you should let the seafood experts prepare your favorite dishes for you. 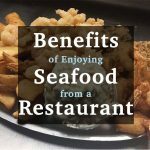 Here are 5 benefits of enjoying seafood from a restaurant, rather than your home. What better way to get into the holiday spirit than with some festive activities? Throughout the Triangle area and beyond, there are SO many events and activities happening each day that you don’t want to miss out on. From festivals to concerts and unique holiday festivities, the Triangle area has it all. Our team at NC Seafood loves the holidays and local events, so, we’ve compiled a list of some of our favorites. 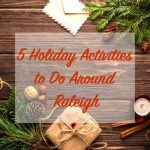 Here are just 5 holiday activities to do around Raleigh. 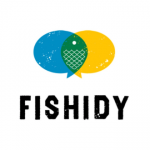 And as apps have utterly infiltrated our leisure activities, it should be no shock that there are numerous apps out there for fishing as a hobby. Below are a few of some of the more popular fishing apps, and what they provide for you as a local fisherman! Independence Day means fun, family, food, and celebration. These are some of our chosen recipes to make your 4th of July barbeque one to remember. N.C. 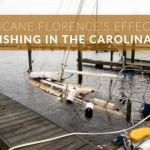 Seafood is proud to announce the launch of our newly redesigned website, built by TheeDesign Studio, a Raleigh web design and internet marketing company. Our newly redesigned website is built using WordPress, an easy to use but powerful content management system that allows our team to make content, image ,and video updates with just a few clicks. We can also add new pages and post blog entries whenever we want, without a web developer’s help.